A couple of years ago I had one of those “aha” moments. I was looking at a bunch of small 4” x 4” canvases from a project that I somehow had lost interest in, wondering what to do with them, when I started putting them into a grid pattern. I was reminded of those sliding number puzzles that were so common when I was a child, and thought it would be intriguing to make one using nine of the canvases to make a 3 by 3 grid. But, while I was pretty sure I could make the thing work, I never decided what to paint on the canvases. Fast forward to preparation for the February/March group show at the Hillsborough Gallery of Arts this year. 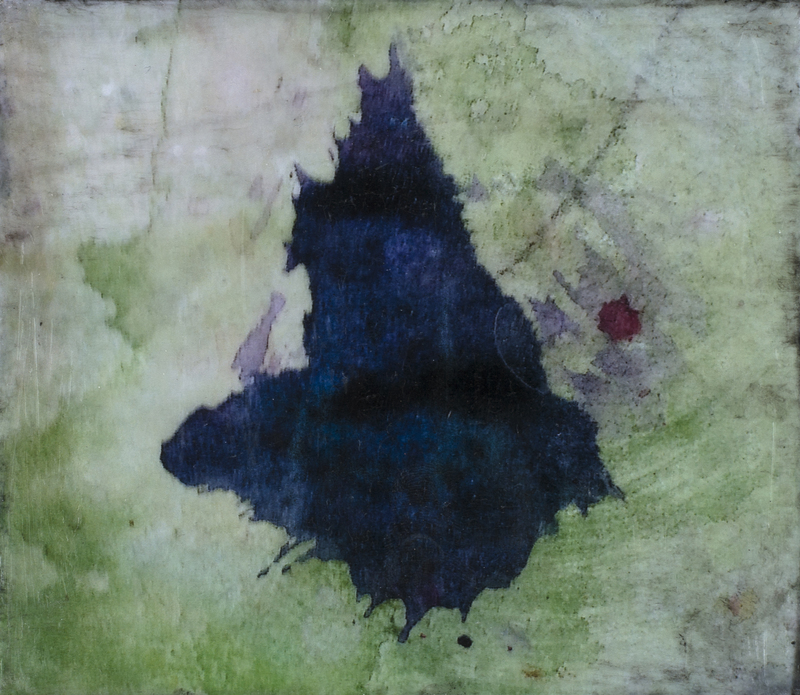 It’s All About the Story is a collection of artwork by gallery members inspired by author Michael Malone’s short story collection Red Clay, Blue Cadillac. 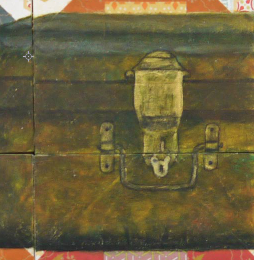 Another “aha” moment: I decided to do a still life involving objects from all twelve stories, in puzzle format! It would be totally cool! I am so brilliant! Several weeks and many studio hours later I came to the conclusion that my half-painted, half-built project was less cool than I’d imagined. Stretched 4” x 4” canvasses are not really 4” x 4”. They are not really even square. Because of the curved edges and the slight difference in sizes, they don’t sit closely together and they don’t slide past each other very well. 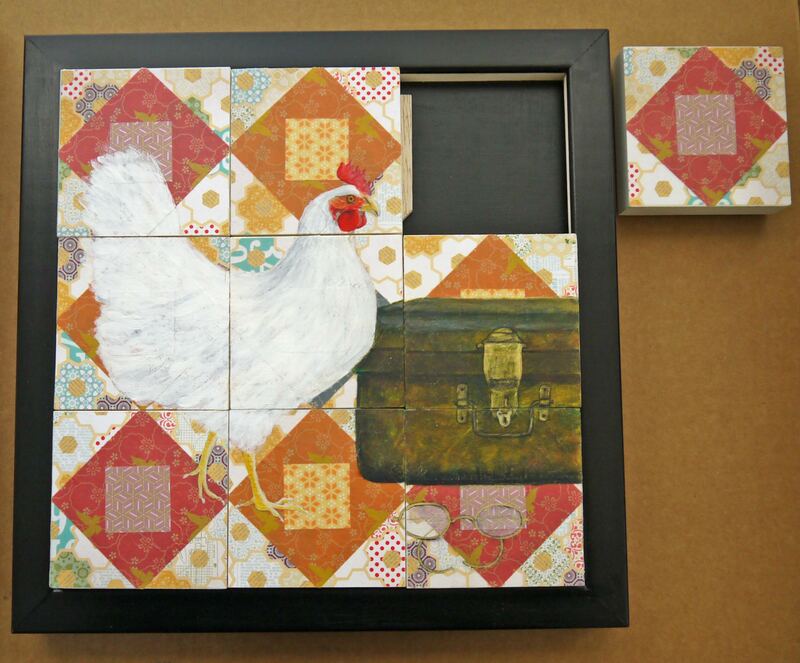 The small surface area and curved edges made the collage background hard to adhere to the canvas. Creating a frame to enclose the pieces would require a larger backing board than I’d prepared, and the whole thing was not going to hang on the wall as I’d first imagined. Time was running out and I was definitely not feeling brilliant. After walking around Home Depot, AC Moore and Michaels trying to gather inspiration for another attempt, I discovered some 4” x 4” x ¾” painting panels. 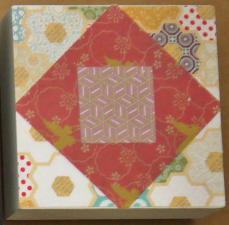 They are square and pretty nearly the same size so they sit close to each other, and the flat tops and sharp edges make collaging easy. I decided to go back to the drawing board, literally, and compose a new design for the surface of the puzzle. Instead of choosing an element from each story, I decided to choose several elements from one story. The Rising of the South and Flonnie Rogers was the story that spoke to me most vividly. One of the twelve Southern women who are title characters in each of the dozen stories in the book, Flonnie is the only African American. She is the antithesis of the sentimental stereotypical maid raising generations of her employer’s children. Flonnie is neither sweet nor kind. She is a mysterious force to be reckoned with, a puzzle in her own right, which the narrator begins to put together as he matures. I chose four elements from the story that represent aspects of Flonnie or her milieu. At that point my puzzle began to come together. The piece in the upper right corner is removable so that the other eight pieces slide around each other and the board. I think it’s pretty cool! 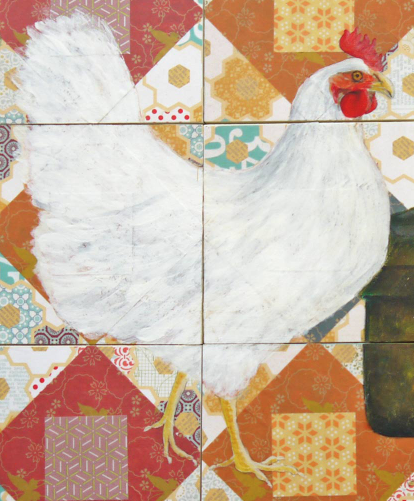 It’s All About The Story runs through March 24th at the Hillsborough Gallery of Arts. 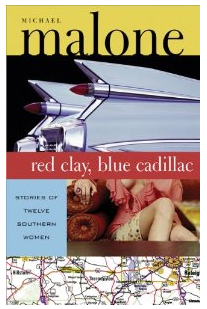 The show concludes with a reading by author Michael Malone from his book Red Clay, Blue Cadillac on Sunday March 24th 2 – 4 pm at the gallery. I love this description of your process in creating this very interesting puzzle. It is not only beautiful but fun to look at and think about. Well done, Chris! Chris – Terrific blog, and what a creative idea! It’s delightful to have a friend who’s so talented. A beautiful story on the process, the inspiration and the result. You and Michael are both so talented. Fun to read.